We are happy to announce that this year's School of Cross is supported by our friends at Blindman Brewing. With their support, and delicious beers, we will have beer prizing as well as a beer garden at the race on Sunday! This year's School of Cross will be held at Strathcona Science Park and will test all of your cyclocross skills and fitness, featuring off-camber, tight corners, barriers and lots of power sections! The race entry fee is $40 for all categories and is available on Zone4 at (link coming soon) Even if you do not have an ABA license you can join the fun by purchasing a Single Event License for $10. Registration closes on Thursday September 20th. Please note that there is no race-day registration. As a thank you, we will give you a free beer for signing up before Tuesday at 11:59 PM. A beer garden stocked with beer from Blindman Brewing will be onsite. We will be serving their famous Blindman River Session Ale, Fruited Kettle Sour, Dry Hopped Kettle Sour, New England Style IPA, and Longshadows IPA available for $5 each. Light snacks, pop, and water will also be available so you can have a beverage and snack after you race. Sandwiches and coffee will be provided for volunteers. We will be able to take all forms of payment, including Cash, Debit, Visa, MasterCard, ApplePay, GooglePay and American Express. Teams are encouraged to bring cheer and encourage all participants with signs, noise makers, cowbells, bullhorns, airhorns, vuvuzelas, etc. Body number placement will be both shoulders and lower back. The ABA will provide cloth body numbers for cyclocross if you do not already have them. 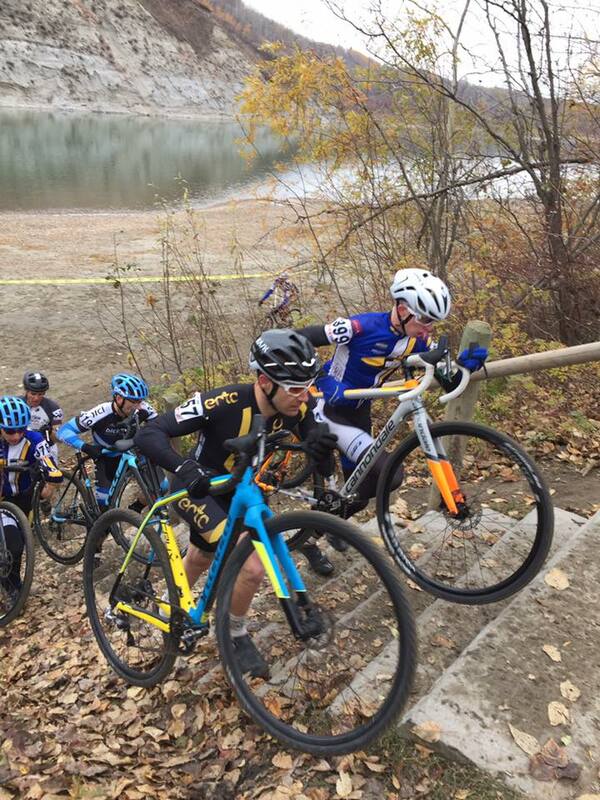 Novice Men and Sport Women may use mountain bikes or cyclocross bikes. Cyclocross bikes, maximum tire width 33mm and 50cm handlebar width, are required for Sport Men, Expert Men, Open Men and Open Women. Inflatable Fun will be returning this year with a jumpy castle for all the children, big and small. Awards and podium ceremonies will take place immediately following the conclusion of each race. Podium ceremonies will take place outside, weather permitting. Prizing will be a mix of cash and merchandise/gift cards and will be determined based on registration. All podium finishers will get a 4-pack of a beer of their choice courtesy of Blindman Brewing. If you are under-18, it will be award to someone of your choosing, over 18. In case of emergencies call 911. On site medical support will be provided by Aaron Paramedical Services. A race radio will be available for medical personnel, who will also have a cell phone. If there is an incident on course, the medical team will be notified via race radio. In the rare occasion that radio communication fails cell phone communication will be used. Each course marshal will receive a list of phone numbers for race organizer and medical staff. Participants are informed to call 911 in the event of an Emergency. A stationary First Aid attendant will be located at the south end of the parking lot adjacent to the the team tents. If there is an on-course incident, the nearest course marshal will alert First Aid personnel via radio who can be quickly dispatched on the short course. If the incident is serious, 911 EMS will be called. Teams are encouraged to set up their tents on the grass at the south end of the parking area.